The Tacoma Mountaineers Sailing community presents a special evening with local author and sailor Jim Lynch. The Mountaineers Tacoma Branch presents an evening with Jim Lynch, author of the book Before the Wind. Join us to meet the author and learn more about his local inspiration. 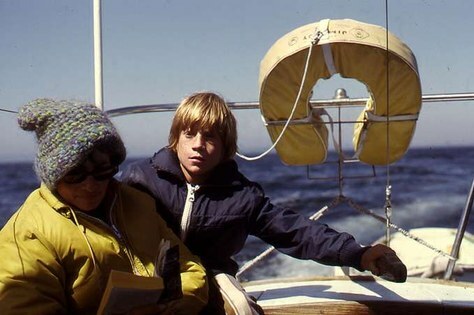 Learn more about Before the Wind, Jim Lynch, and other books he has written, on his website, or check out the video below for a book sneak-peek complete with lots of local sailing scenes. This is a free event, but donations benefit the Tacoma Branch Sailing Committee and help us improve our sailing classes. To learn more about the classes we offer, click here. Seating is limited to 120 people. Visit Brown Paper Tickets to reserve your free spot. There will be a cash bar serving beer and wine and a chance to meet the author and get your copy of the book signed after Jim’s talk. This event will take place at the Tacoma Branch Program Center, 2302 N 30th St, Tacoma, WA 98403, Wednesday evening, September 14, from 6:30-8:30pm.